I HAVE always been convinced that we have matured and are quite intelligent people on Twitter, another social network whose popularity has consistently rivalled and is in fact about to surpass Facebook. This belief has been sustained over the years by the sort of debate and discourse that occurs daily on Twitter. Day in, day out; frontline citizen who will never contemplate spending even five minutes on Facebook will engage in robust and intelligent conversation on Twitter. And with the word limit imposed by the social network as a rule, there is a very limited amount of nonsense and irrational updates on that site. So when Mallam Nasir El Rufai (@elrufai), a former FCT minister, posted an article written by another popular tweep, Japheth Omojuwa (@omojuwa) on July 24, 2013, it was glaring that all politically conscious tweeps would have another day of an exciting conversation. The article, titled Nigeria: Collective prosperity as the opportunity cost of parochial charity, again opened a new vista of debate around the fundamental issues that were raised in an earlier work submitted by Prof. Peter Ekeh. Titled Colonialism and the two publics in Africa, Ekeh’s paper was an accurate diagnosis of the Nigerian situation from the pre-colonial era to this very day. While stating that African society, especially Nigeria, is consisted of two publics: The civic and the primordial public; Ekeh insisted that the political class in Nigeria have always been interested in gathering substantial wealth taken from the common purse, and then give peanuts to the beleaguered and cheated citizens. To Ekeh, even nationalists who fought for Nigerian independence did so in order to chase off the colonial masters and therefore to secure an unfettered access to the common wealth. The manner our post-independent leaders in Nigeria have continued to fight for political power and its accompanying largesse, to a large extent, confirms Ekeh’s prognosis. Therefore, when Omojuwa shared his lucid piece on Twitter, he obviously took a cue from Ekeh and reopened the argument surrounding the comfortable and expensive lifestyle our leaders live at the expense of the poor masses. And of course, unlike the previous debate on the topic of leaders’ comfort via-a-vis followers’ discomfort, Omojuwa situated the blame for the imbalance in our pattern of life at the doorstep of the masses who beg for peanuts from their representatives; and therefore unwittingly provide the ‘thieving’ leaders the opportunity to justify the reason they have continued to steal us blind. While Omojuwa might have addressed Nigerians in his article, the message, as I thought, was essentially meant for Kwarans. In fact, it was coincidental and ironic that on the evening I was reading Omojuwa’s piece on my phone; I looked out of the window and saw my people in Adeta area of Ilorin struggling for packs of Senator Bukola Saraki’s Ramadan food. The senator was reported to have donated N100 million for the cooking of iftar (breaking of Ramadan fast) for the poor and the less privileged in his Ilorin Central Senatorial district. In the spirit of Ramadan, the governor’s wife is also ‘helping’ poor women with Ramadan gift. Major political appointees (Commissioners, Special Advisers and Assistants etc) are also given out Ramadan gifts. There is Sallah Ram to be bought; there are Umrah and Hajj slots to be given. To these politicians, Ramadan and other religious festivities simply present an opportunity to pay back some returns to party loyalists and potential voters. Although there are issues surrounding the Ramadan goodies being distributed in Ilorin today and the reasons for same; I will concentrate on sensitising the populace regarding what they are unwittingly giving up in replacement for those packs of rice and tin of milk and box of sugar. But before then, I have some questions for the jubilant ‘package-collectors’. Would Bukola Saraki donate N100 million to feed anyone if he is not the PDP leader in Kwara State? For eight years, Bukola was governor of Kwara State and the people of Ilorin were fasting once in each of those eight years, why did he not feed them then? Does it mean he just made the N100 million he was given out for the cooking of Iftar? Is Bukola Saraki’s gesture during the Ramadan not a political strategy to ingratiate himself into the minds of the people as the new and sympathetic leader in the mould of his late father? Would Mrs. Omolewa Ahmed (a Christian) give out Ramadan gifts to the women if she is not the wife of Alhaji Abdulfatah Ahmed and Ahmed himself is not a governor? Would these emergency do-gooders sharing milk and sugar in Ilorin today, do so if they were not Special Advisers or Commissioners? We fasted in 2010, but were any of these people available to give out even a cube of sugar? What majority of those jubilating over Bukola Saraki’s packs of rice do not know is that they are already collecting their dividend of democracy. How could someone feed you with N100 million even if it is just for a month, and you still expect such a person to embark on any meaningful constituency project? How could these commissioners, most of whom have no second business address, give out Ramadan packages valued at millions of naira and you still expect their ministries to embark on any pro-people projects? How could the governor give out thousands Umrah slots and you still expect a meaningful implementation of the shared prosperity programme? I am sure there is already a budget in Kwara State government House for all these milk and sugar our people are collecting. And I can bet you that it is not going to be a lean estimate. With every tin of milk collected comes a sacrifice of a kilometre of road that would have collectively served greater public good. With every pack of sugar collected comes a sacrifice of quality and accessible education that should make even the children of those whom Bukola Saraki described as “less privileged” commissioners and governors in future. Oh, our parents could simply not see beyond today: they are unwittingly drinking the future of their children with that milk they are collecting with ecstasies betraying their ignorance which will no doubt avenge itself bitterly in the future for inadequate education and loss of opportunities of fulfilling lives for their children. Indeed, they have accepted Ramadan charity in lieu of shared prosperity. However, for a government that hardly looks the side of the masses except when elections are approaching, one cannot blame the poor voters too much for taking every drop they can lay their hands on when the opportunity presents itself. But is this occasional patronage what we bargain for when we go to queue in the sun for hours in order to vote? Is Ramadan milk and sugar all we hope for from a government that came to power as a result of a controversial election? Even if the election that brought in Alhaji Abdulfatah Ahmed as governor was peaceful, we are all living witnesses to what it took for Bukola Saraki to wrestle power from the late Alhaji Muhammed Lawal in 2003. So with this mad rush for Bukola Saraki’s pack of rice, are these people who behave like hungry refugees, all in the name of collecting Ramadan gifts, telling us that they do not care the sort of school their children attend as long as they can eat rice? But there are so many of us who did not collect any of those poverty-promoting gifts and yet went fasting. And these Ramadan gifts our people are collecting will simply not make their fasting any better and valid than ours. So what is the frenzy all about? If anything, these people who go about collecting crazy gifts from politicians are only mortgaging our collective future, behaving as if all we ever ask of our government is an opportunity to feed our bellies. I bet there is more to life than just eating rice. Today, most of those collecting Ramadan gifts in Ilorin and eating rice still find it extremely difficult to pay their children’s school fees. Even in the state university, many indigenous students still go through bone-shattering difficulty before they could pay school fees. Yet, education is so fundamental that it still remains the only unquestionable path to everlasting prosperity. Most of these people eating useless rice all over the places have children who, with sound education, will grow up to feed them with 100 million bags of rice if they want. But my people are so blinded by temporary gifts that they cannot ask Bukola Saraki to divert his N100 million Ramadan package towards providing scholarship for their children. They are so short of vision that they cannot ask the state government to use the money meant for Ramadan gift for subvention to the Kwara State University so their children can have a reduction in tuition fees. 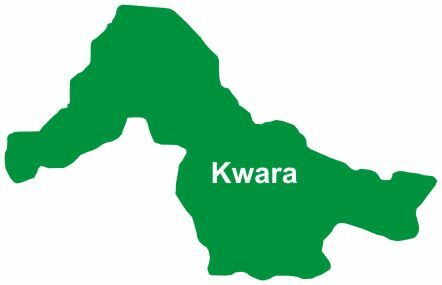 After 10 years of PDP government in Kwara State, most roads are still not passable, many classrooms are still in dilapidated condition, we still walk more than 100 kilometres before getting portable water, power is still as erratic as ever, many youths are still jobless; but my people forget all these at the site of packs of rice and tin of milk. Oh, poverty of vision is damn killing!